The one place you’d like to feel safe to breathe is at home. That is exactly the reason why HOME HEPA Air Purifiers were invented––and perfected––to help you breathe air free of outdoor pollutants and indoor allergens. You can’t really seal off your home from air that enters in through doors, windows and the comings and goings of everyday life. But you can control the quality of that air once it is inside your home. Air purifiers work by filtering and treating air so that harmful allergens, molds, dust and dust mites, animal dander and other airborne irritants are removed from the air you breathe. That means you’ll have less problems dealing with allergy symptoms that can make your life miserable. The technology to help you breathe easier is there at the flick of a switch with a Normal Room Blueair 203 air purification system. Instantly the air you breathe is being cleaned so that you can move about your home without allergy and asthma symptoms. After all, your home should be your refuge, not a torture chamber! The Blueair 203 runs quiet and is therefore a great solution for air purification wherever you want to rest or relax, from bedroom to living room or even the kitchen! Clean air is great everywhere! The Blueair 203 is capable of removing exceptionally fine particles from the air. In fact this air purifier can remove 99.97% of airborne particles at 0.1 micron level. Normal HEPA air cleaners filter particles at 0.3 microns. Trust us; even though there are technical explanations for how such an outstanding air purifier works, it is your nose and lungs that will know the difference. And that’s what counts. For those who believe in the dictum that it is “better to go big or go home,” the Blueair 403 Air Purification system covers 360 square feet with the same great air filtration benefits as the Blueair 203. The 403 uses only 20 watts of electricity on its lowest setting, so you can safely use it around the clock to keep your home air safe and allergy free. The Blue air 503 Air Purification System is a marvel of design and engineering that cleans and purifies air in rooms up to 500 square feet, while the Blueair 603 Air Purification System is the quietest air purifier available and covers rooms up to 676 square feet. We figure you know what’s coming next. Large Room HEP Air Purifiers cover spaces ranging from 225-425 square feet and are also ideal for people who suffer from severe allergies. Place this unit in the rooms you use most frequently, such as bedrooms or living rooms and the power of the unit will purify the air as safely and effectively (99.97% of particles of 0.1 micron in size) so you can enjoy your home in peace. 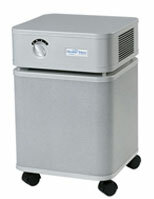 Extra Large Room HEPA Air Purifiers cover rooms of 500 square foot and more. These air purifiers can handle even the largest rooms, including spaces up to 1,500 square feet. They produce the same air purity as smaller units and also offer outstanding odor control. The Austin HealthMate 400 Air purifier is especially good at controlling odors, and provides all the essential filtration values allergy sufferers want in a unit that can cover 1,500 square feet. From intimate spaces where you want air to be purified and clean to large rooms where constant air quality maintenance is vital to health and enjoyment in your home, Allergyasthmatech.com covers your range of needs with air purifiers that remove 99.97% of the “baddies” that make it hard to breathe.